Johnstone Financial Advisors will host an art reception next week for Jeanie Bates and Corinna Campbell-Sack. The event is scheduled from 5-7 p.m. on Friday, Nov. 9, at the company's office at 334 Third St. in downtown Lake Oswego. All are welcome to attend the event, which will feature specialty foods, Northwest wines and live music. Bates is a native Oregonian. Her inspiration comes naturally from living in the Pacific Northwest and is represented by the content and colors used in her paintings. 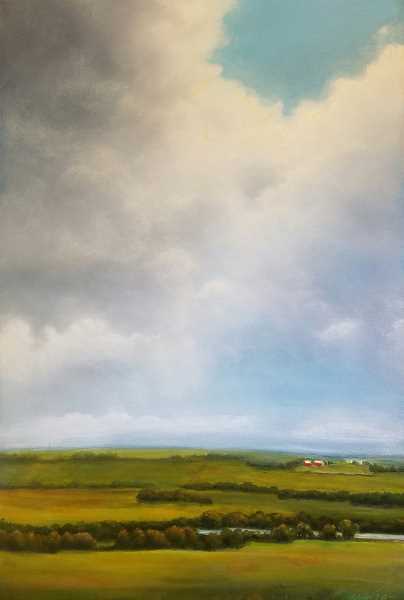 She primarily concentrates on oil paintings of landscapes, cloudscapes and nature. Bates shows annually in Chicago and New York and has participated in several invitational exhibitions and shows. Campbell-Sack was raised in Lake Oswego and loves to paint the natural world. She has made a career as a graphic designer, working with the Oregon Historical Society, the Portland Art Museum, the Seattle Art Museum and several academic presses. Now a watercolor artist, Campbell-Sack says that "uncultivated landscape is a constant source of inspiration for my work." The lush forested mountains in the Pacific Northwest, sculptural rock formations of the Oregon coast and the arid beauty of the Southwestern deserts intrigue her. The history and scale of these varied, untouched terrains offer mystery and wonder as she interprets and paints them in watercolor compositions. Twenty-five percent of art sales will be donated to the Oregon Cultural Trust. The exhibit runs through Dec. Formerly the headquarters of a lumber broker in the early 1970s, the venue has aesthetic similarities to the World Forestry Center and offers three floors of open and well-lit exhibit space. Visitors are welcome to visit the Johnstone Financial building between 8:30 a.m. and 4:30 p.m. Monday through Friday. Sales can be made at any time until the exhibit ends.